This past spring, there was a quarterback battle in Lincoln. Going into it, most observers felt like both quarterbacks had a chance to win the job. 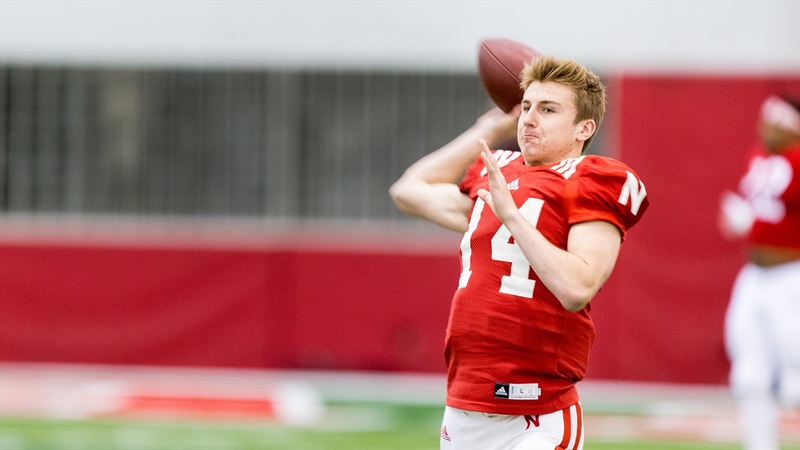 Redshirt junior transfer Tanner Lee and redshirt freshman Patrick O’Brien had a battle that lasted into camp before Lee was named the starter shortly after the spring game. Since then the hype machine has been churning for Lee. He represented the Huskers at Big Ten Media Days in Chicago and he is expected to have a stellar season. It has been expected that O’Brien would naturally slide into the backup quarterback spot after pushing Lee in the spring, but while that battle for the top job was going on, true freshman early enrollee Tristian Gebbia was making noise. The first thing you notice about Gebbia is his slight frame but once you get past that, you see a quarterback wise beyond his years who can make all throws and has a high football IQ. It has always made sense from a depth standpoint that Gebbia would redshirt to get used to college football and bulk up so it raised some eyebrows when offensive coordinator Danny Langsdorf broke down the battle for the No. 2 spot. “I think those guys being as young as they are, they make rookie mistakes,” Langsdorf said. “They’ve really gotten a lot of similar reps and it’s very close that way. So it’s not clear-cut. They both have had their days; they’ve both had good days and then they’ve had some freshman blunders. Consistency is typically a problem for young players but this staff puts a premium on it at the quarterback position. Langsdorf had remarks about Gebbia’s practice in particular. “I thought he did some good things. He got snake-bit a little bit on a route that was too deep. It was not timed and it’s a timed play, so it looked bad, but a lot of that was the depth of the receiver. While Gebbia and O’Brien are not battling for the starting spot, backups are always only one play away, and the Huskers have had to use multiple quarterbacks in recent years. This storyline is worth keeping an eye on and could be the first inkling of who will have the leg up in the race to be “the man” after Lee.